Jeff Lewis claims his ex, Gage Edward, went on a date with a “homewrecker,” days after moving out of their family home. As reported, Jeff Lewis and Gage Edward have called it quits after a decade together. The Flipping Out star revealed to his listeners that Gage went on a date with a man (he also knows) at celebrity hot spot Mastro’s Steakhouse in Beverly Hills. Jeff believes the restaurant choice was intentional. According to Jeff, he uncovered this info through some “information gathering” of his own, but did not expose the man’s identity. “I will not say his name, but I think just for today, we’re gonna call him Homewrecker,” he said, explaining that he believes “Homewrecker” has been in the picture long before Saturday night. However, things quickly fizzled as the suitor wasn’t onboard with the fact that he shares 2-year-old daughter Monroe with Gage; therefore, the two never met up. 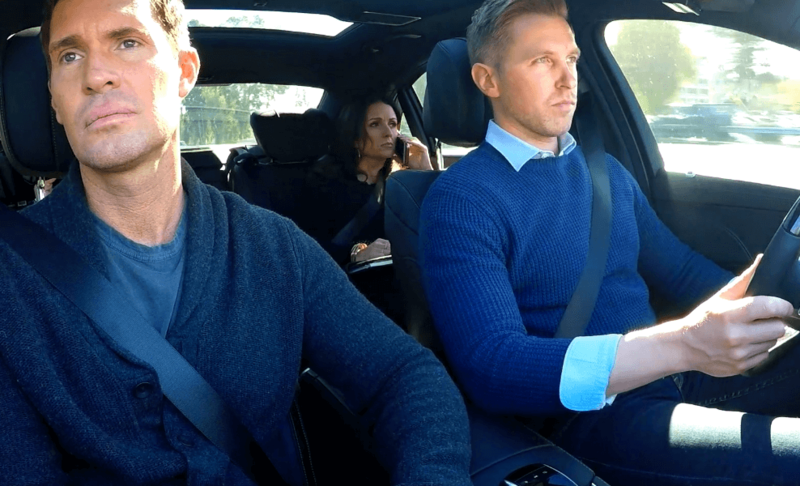 The Flipping Out star revealed the shocking breakup news during his Sirius XM radio show, Jeff Lewis Live, in late January. Jeff shared that they had been living in separate bedrooms half of last year up until Gage moved out of their house and into a hotel at the end of January.